So says former Warrant Officer Class One (Regimental Sergeant Major) Bob Dixon, RAMC. He joined the UK's Regular Army in 1991, trained as a Combat Medical Technician, moved frequently between the major garrisons in England and Germany, was deployed on operations in Northern Ireland, Croatia, Bosnia, Macedonia, Kosovo, Iraq and Afghanistan primarily with front line units, and took part in overseas exercises in Kenya, Canada, USA, Belize, Jamaica, South Africa and Gibraltar. Bob also received the Meritorious Service Medal in the 2014 New Year's Honours Awards. He has recently retired from the RAMC (Royal Army Medical Corps) and is actively pursuing an interest of his since 2004, as a military researcher working part-time with the Museum of Military Medicine. He was proud to discover the grave of Staff Sergeant Wilfred Brooke, one of the Great War's most decorated RAMC medics, being awarded the Distinguished Conduct Medal and Bar, Military Medal, Mentioned in Despatches and the Belgian Croix de Guerre. Aged 39, Brooke was originally buried in an unmarked grave at Wallasey's Rake Lane Cemetery in July 1920, after he succumbed to injuries sustained during the war. 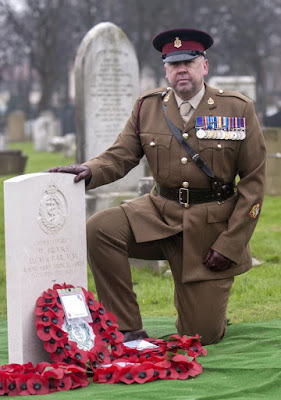 Realising Brooke had not been commemorated with a Commonwealth War Graves Commission headstone, Bob Dixon requested an official review of the case. The Wirral Globe newspaper subsequently reported on the special ceremony placing an official headstone on Brooke’s grave 95 years after his death and also featured on BBC North West Tonight and in the Liverpool Echo. A thoroughly interesting book written from the first-hand accounts of two brothers of their experiences during the Great War. The book dispenses with long-winded introductions, which I generally ignore, and goes straight into the story. The letters have been carefully compiled and presented wonderfully and I simply couldn’t put the book down. 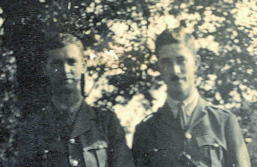 Both men took a different route into and through the war, with the details of their movements, experiences and observations of the war through their eyes being openly translated to family back home in Australia. One line that sticks out is “if only Steve had lived for six more hours”. As if by cruel fate it was the last action that Stephen’s unit took part in, if only, what might have been if he had survived that fateful day. A terrible loss for the family especially being so far away and not having the immediate opportunity to visit his grave. Dora Boulton departed Australia in 1928 alone to visit her son’s grave on what must have been an emotional 20,000 mile round trip by a devoted mother to close the chapter in her own mind, knowing he truly was at rest. I have read many books detailing the first-hand accounts of Generals, Officers and the ordinary Rank and File at the front and certainly rate Brothers in Arms amongst the best in print. It was very moving to read and as a former career soldier I felt an affiliation with these men. I go to France regularly and next time I'm over there I will head over to Roisel Cemetery and place a Poppy Cross on Stephen's grave. I would recommend this book to any who have the slightest interest in life in the Great War. The 11 pages of contents is unusual; however, as a researcher, it makes life especially easy by not having to trawl through a 30-page chapter to find a particular piece of information and has altered my view on how I’m going to present my own book for print.